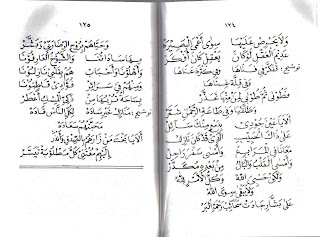 Assalam alaikum, Please put a translation to the beautiful Qasida, Ala Yallah bi nadhrah! Please! I searched all over the net and its nowhere to be found. Can you read Malaysian language? if you can there's a translation in http://www.alhawi.net/ya_saiyidi_ya_rasulullah3.htm. Is there an english translation of this beautiful qasida? How to fold a prayer mat?